Feeling the urge to paint the walls lime green? Not a problem. Thinking that you want to install a large chandelier in the middle of the room? Go for it. Personalizing your bedroom gives you the opportunity to create the space that best suits you. But…what if you want to eventually want to sell the house? Well, those customized walls and lighting might not be the best fit. When putting your home on the market, it needs to look be a blank slate where the new owner can picture themselves. Especially, when it comes to the bedroom. If you want to find a balance between personal style and maximizing the resale value of your home, there are several things you can do. For now, we’re going to share some ideas on how you can make inexpensive improvements in the bedroom. These tips will help you increase the chances of a potential buyer of saying “yes” to buying your home. It goes without saying that a new coat of paint does wonders to bring new life to a bedroom. If you want to improve your chances of wowing potential buyers, you’ll want to consider using colors that are not as likely to shock the senses. Neutral tones such as beige and taupe are optimal colors to consider. They are also ideal for home staging. These colors make it easier to create a warm and inviting bedroom where people can imagine themselves having sweet dreams. 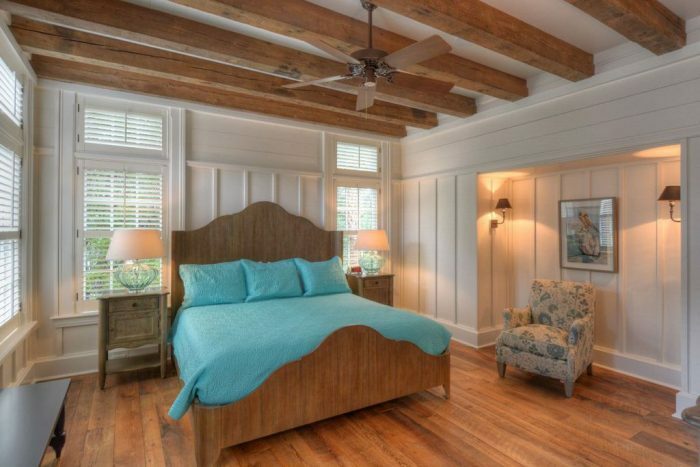 Wood crown molding can add a touch of class and sophistication to a bedroom. Classic wood or MDF molding can be put up as a trim to pull the room together and give walls visual interest. This is an inexpensive update that can yield a return on your investment. There are a couple of places where you can add molding that will make the room look the best. The classical option is where the wall and ceiling meet. Molding can also be placed at the base of the wall. 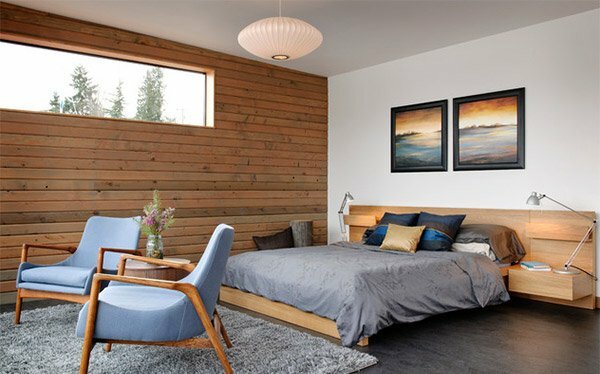 An often overlooked option, especially in the bedroom, is to add the wood to the middle of the wall. When done correctly, this can create a visual focal point in the bedroom. If there is a sitting area in the bedroom, this is also a great way to create some visual interest. Now when most people think of wood paneling, images of orange, retro carpet and dated furniture may spring to mind. We’re not talking about dragging your bedroom back in time though. What we are talking about is giving those panels a new look to give your bedroom a more contemporary look. Painting dark wood paneling gives the room a cozy, cottage charm. If painting is not your thing, that’s okay. There are options for wood colors and types that will bring your bedroom into the modern era. When it comes to lighting, those standard gold fixtures have got to go. Remember that nice lighting doesn’t have to be expensive. 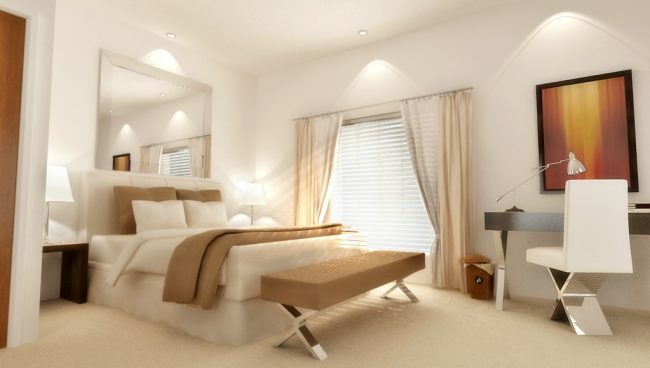 You can update your bedroom with new lighting that is both cheap and compliments the structure of the room. You don’t have to go crazy with your window treatments. Light and airy fabric or thick wooden blinds will help your windows look more refined. Going with lighter, more neutral colors will help make the room feel more spacious. You may not have considered switching out those standard, builder issue sliding doors. 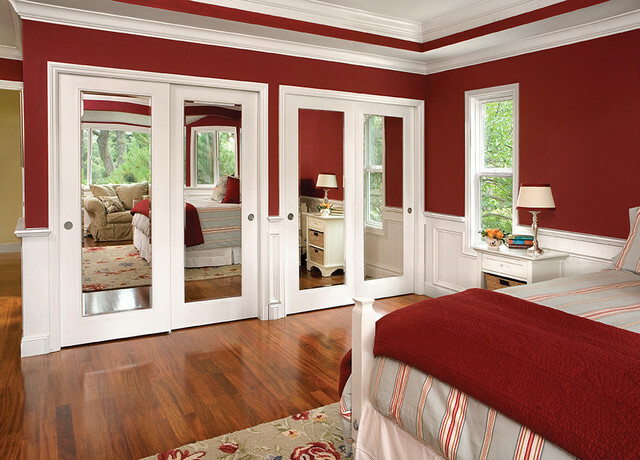 Replacing those doors with a modern option will make your room look more sophisticated. Plus, it could also help you get a few extra bucks when selling your home. 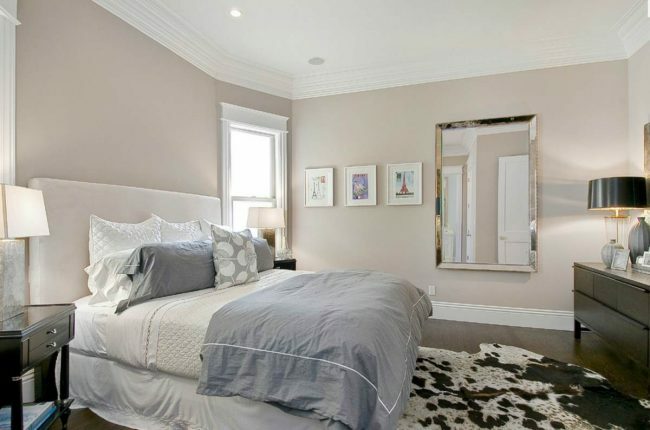 Consider going with doors with a mirror to give the bedroom more visual depth. You could also go with well-crafted, refurbished wooden doors. These can be purchased from resellers who specialize in refurbished doors, floors, and cabinets. 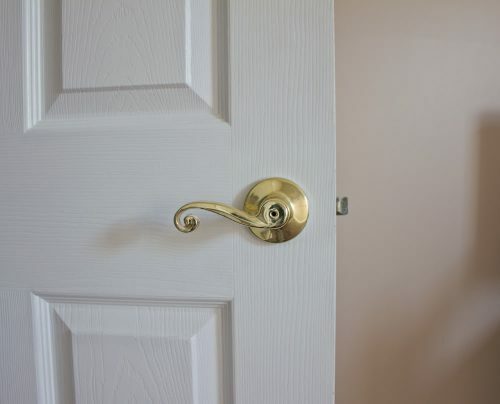 Even if you don’t want to completely replace the doors, you can always give them a new look with a nice set of handles. This is one update that you can complete in just a few minutes. Brick and mortar hardware and online stores are prime places to find unique door handles and knobs. With prices ranging from $10 to $30 for decorative doorknobs, you can find a set that compliments the style of your bedroom. 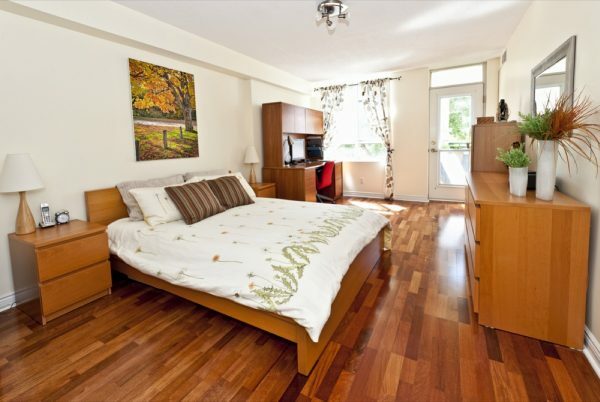 If you have hardwood floors, giving them a good scrubbing and shine will bring the luster and glow back to your bedroom. Plus, this comes in as one of the easiest updates that you can do in your bedroom. Be sure not to damage the floors by using hard chemicals that are not meant for hardwood. Buyers can tell and appreciate when hardwood flooring has been well cared for. When preparing your house for sale, you want to make sure that everything is in tip-top shape. This is especially important when it comes to your bedroom. There is nothing that will turn off a buyer faster than dirt and clutter. So it would behoove you to put away any papers or clothing that have piled up in corners or on the floor. You’ll also want to be on the lookout for any dust bunnies on the dresser or nightstands. Whether you want to sell your home now or in the future, these simple upgrades will help you be able to ask for top dollar. By making just a few small changes in your bedroom, you can pretty much guarantee that you’ll see a return on your investment. Potential buyers will appreciate the care and effort that you put into the maintenance of your home.